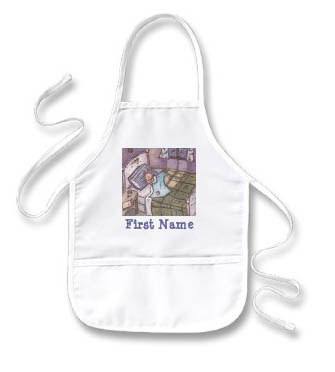 I love these art aprons. I'm already thinking ahead for Christmas gifts for my nieces and nephews - I have quite a collection of relatives in the under 9 year old range! Of course I'd have to stuff those pockets full of art supplies - crayons, paints, tiny pads of paper, colored pencils, markers. All the good stuff to make a creative adventure. 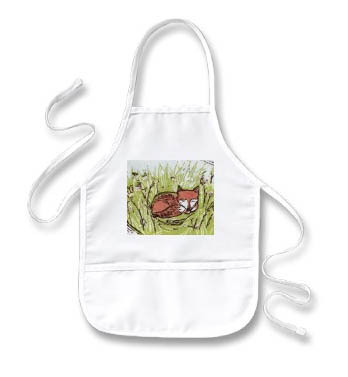 I could also see them used for a tiny gardener - add a few pint sized gardening tools, seed packets and gloves into the pockets. 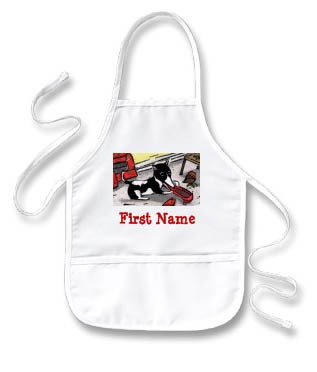 Or for your mini-chef add in small cooking utensils, cookie cutters and a kid's cookbook!